Come home to ultimate entertainment: the UBP-X1100ES 4K Ultra HD Blu-ray Disc™ Player sets new standards in immersive entertainment for home cinema/audio-visual enthusiasts and custom installers. This feature-packed universal player provides a complete solution for reproduction of the highest quality pictures and sound. Support for a huge range of media types, formats and standards includes 4K HDR playback plus the latest 4K streaming services. And with support for Dolby Atmos® and DTS:X object-based surround sound as well as Hi-Res Audio, you’re assured of stunning pictures plus a thrillingly lifelike soundtrack to match. Beautifully designed and engineered, the UBP-X1100ES is an ideal partner for today’s complex A/V environments. It's fully certified by leading home automation system vendors, with generous connectivity and control options for smooth integration into the most ambitious custom installations. With an intuitive menu and interface, apps and features are organised simply and intelligently. So you can always find what you’re looking for. 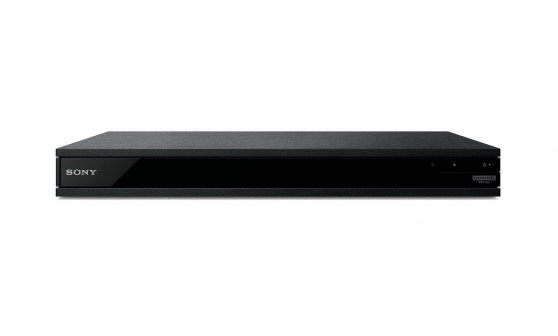 The UBP-X1100ES universal 4K Blu-ray and multimedia player can effortlessly handle virtually any optical disc format, including DVD Video and DVD Audio, CD and SA-CD, Blu-ray 3D and BD-ROM media. It also supports playback of most popular USB video and audio file types, in addition to a host of High-Resolution Audio formats. Enjoy 4K Ultra HD movies at four times the resolution of Full HD 1080p, reproducing all your favourite scenes with levels of detail and clarity you’ve never experienced before. Go deeper into the detail with High Dynamic Range (HDR). Combined with the clarity of 4K, HDR delivers an expanded range of colour, contrast and brightness to enhance the finest details from the original film format. 4K HDR to SDR (Standard Dynamic Range) conversion improves contrast and colour for optimised playback and viewing on non-HDR devices. Enjoy fast, stable streaming from popular online services including Netflix, Amazon Video and YouTube (available services may vary by country). The UBP-X1100ES supports playback of up to 4K video streaming, thanks to robust dual-band MIMO wireless technology for a strong signal – even at the edge of your Wi-Fi network’s range. With Dolby Atmos®3D and DTS:X object-based surround sound, you’ll feel like you’re right inside the action. People, music and objects move around you with startling clarity in a precisely defined three-dimensional sound space. High-Resolution Audio takes your listening experience beyond MP3 files and even CD quality – letting you hear every breath, every note and every drumbeat. The player's 32-bit DAC is compatible with native DSD (at up to 11.2 MHz) and LPCM (at up to 192kHz) Hi-Res music files in a range of different formats. Amplify the effect of every cinematic moment when you watch privately. The UBP-X1100ES supports Bluetooth® audio transmission for private listening on wireless headphones. Send audio via HDMI to your TV or soundbar, while transmitting it simultaneously to a wireless speaker or headphones over Bluetooth®. So now you don’t have to miss a word or sound, even if you step away from the TV. Listen to the same great songs, anywhere in the home. Multi-room listening lets you group selected Sony soundbars and speakers together to enjoy music streaming in multiple rooms. The UBP-X1100ES offers full Custom Installation (CI) compatibility for smooth integration into today's most sophisticated home cinema AV systems. The player is certified by leading home control and automation system vendors including Control4, Crestron and Savant. Virtually every connectivity option is offered, including IP Control over Cat5 cable or Wi-Fi networks; RS-232C two-way control and IR-IN. A web browser interface is offered along with support for ihiji, a cloud-based remote management solution. The UBP-X1100ES embodies the legendary build quality associated with Sony’s coveted ES brand. The player’s Frame and Beam (FB) chassis helps to increase structural rigidity; while its honeycomb top plate, heat sync and offset insulator feet reduce the effects of airborne and mechanical vibration. Even the removable rack-mount ears further reduce vibration and electrical noise. With an intuitive menu and interface, apps and features are organized simply and intelligently, so you can always find what you're looking for. Plus Bravia Mode optimises the player for the best settings when using a Sony Bravia Display to ensure you're always getting the best picture quality. With subtitle support in cinema Scope 2:35:1 aspect ratio you can watch any subtitled content through your projector without losing image or text off the screen, opening-up a world of content to you.